A GoPro seems like a simple, essential thing to bring on a tandem skydive. After all, your little sports camera comes along no matter what hijinks you’re getting up to; how would a tandem skydive be different? It may seem like a money-making scam that tandem students can’t bring their own cameras on a skydive. It might well seem like a rule we made up to get the extra money it costs to have one of our professional skydivers use their own camera: a sneaky way to net a little extra cash on every tandem skydive. Fact: We do it because it’s essentially a law. The no-cameras thing is a rule that has been set down by the United States Parachute Association. The exact wording of the rule, as published in The Skydivers Information Manual (which we go by to set the best, safest practices for our sport) reads: No skydiver with fewer than 200 skydives should jump with a camera. Here’s why: This is skydiving. This is not a roller-coaster ride. You’re not a passenger; you’re a tandem student. Because you’re a student — an active participant on the jump — you have to follow the same rules that all skydivers follow. Frame your frustration this way: Somewhere, there’s a jumper who has jumped a hundred times already that still isn’t allowed to wear a camera. On a skateboard, on a bicycle helmet or on the front of your SUP, your sports camera is a pretty docile piece of furniture. 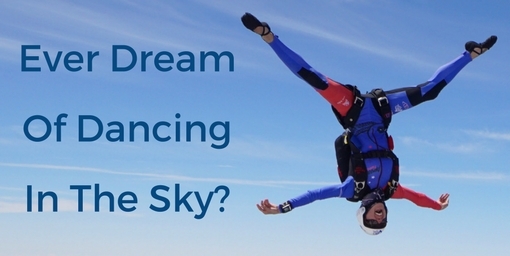 Why wouldn’t it be like that on a tandem skydive? Fact: In the sky, that little camera represents a perhaps surprisingly significant liability. Tiny things, after all, can make a very big difference–and skydiving is all about carefully managing the risks we’re aware of. You know that parachutes are suspended on lines. What happens when, in the very dynamic event of a parachute opening, a person who doesn’t know exactly where their body is in space gets a small device tangled in those lines? Mayhem. That’s what. Even the smallest camera can cause a huge malfunction if it snags up in the complicated arrangement of fabric and parachute lines that emerges from a skydiving container when it opens. 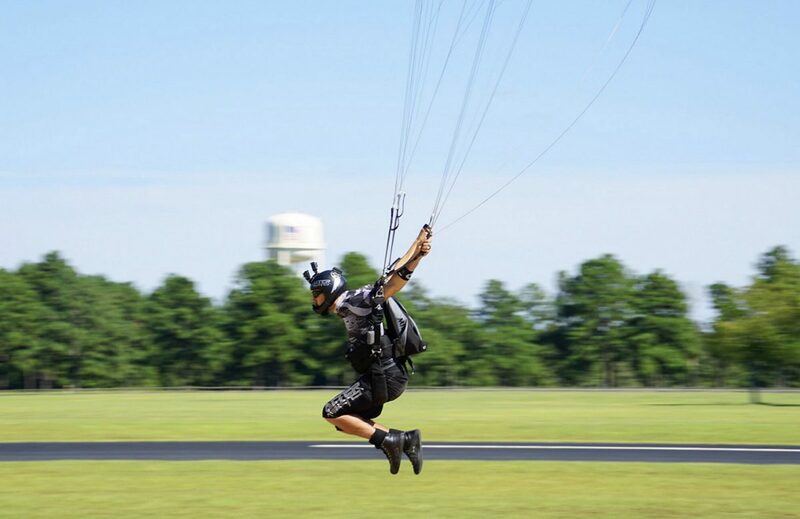 Even a single snagged line can stop the parachute from being able to properly fly, which puts both you and your tandem instructor at severe risk. Responsible dropzones protect that deployment process by whatever means necessary, because successful parachute openings keep our sport going. Okay. You admit it: Cameras are tricky. You accept that a little experience is important first. But 200 jumps? That’s ridiculous. Fact: The USPA arrived at that number after very careful deliberation and lots of research. The USPA uses exhaustively collected stats to develop rules like the 200-jump-camera rule. As it turns out, line snags due to wayward cameras happen a lot when the skydiver wearing (or holding) the camera doesn’t have sufficient skydiving experience to know precisely where the camera should and shouldn’t be, or the experience to remain clearheaded and undistracted when there’s a camera around to make faces at. 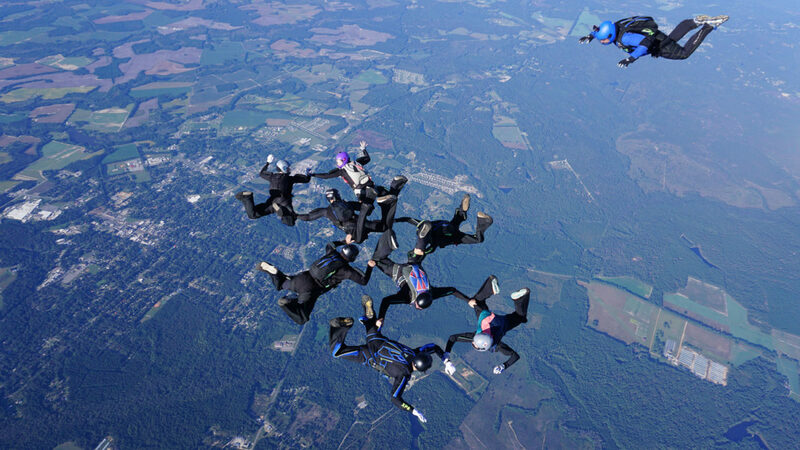 Conversely, line snags are very uncommon among more experienced skydivers. Professional skydivers come prepared with the training and the very specific equipment to keep all of that complicated parachuting equipment well clear of the camera — for everybody’s safety. Y’know what? When the camera is in the capable hands of a professional skydiver, that’s actually kinda true! It’s safer, more satisfying and more fun to make a skydive when you’re simply focused on having the time of your life jumping out of a plane, and someone else handles making sure that the little red light is on. You’re going to have the time of your life, and the footage will be there to prove it. Oh, and by the way: When you share your tandem skydiving video with the world, tag us! We can’t wait to help you share your triumphant first jump with the world. How High Are Skydiving Jumps?